3 week Intensive ~ Thorough training on most aspects of grooming and ready to start your own business! All course times are 10am till 3pm, please bring a packed lunch, Monday to Friday where applicable. Consolidation of the previous week plus Identification of health problems; reporting to owner, clipper work, scissor work, first aid, customer cards, applicable legislation. Salon Hygiene. Consolidation of the previous weeks bringing together all the training so far. It is expected that you should be able to successfully bath, dry and prep your dog; working on trimming and gaining more confidence as you go. You will be grooming with little or no supervision and encouraging to make your own decisions on shampoos, tools, methods & technique choices that you've been taught. Certificate of attendance given on completion. Accommodation available at £25 per day and is a refurbished mobile home here on the farm. The cost includes basic groceries. All courses are taught to City & Guilds III and IPG/ICMG standards and guidelines. Comprehensive training courses – with our courses, you will not only learn how to become an excellent dog groomer but also how to spot health problems and how to break the news to the dog owners and offer first aid to dogs. Our courses will place you above the competition and improve your skills to not only keep dogs happy but also how to relate with them better. 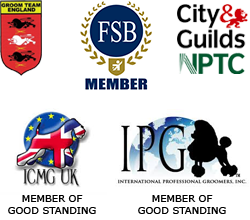 We are accredited – we have been accredited by a large number of notable and well-recognised bodies like FSB, International Professional Groomer Inc. Groom Team England among others. These accreditations and the faith that these organisations have in us is as a result of our hard work and dedication to offering comprehensive and competitive courses to all aspiring and established dog groomers. Flexible courses – there are some groomers who might be looking to take up our courses but the outline does not allow. We also have a flexicourse that is more manageable and affordable and offers you an opportunity to learn everything in a shorter period of time. High standards – all our courses are offered to the standards set by City & Guilds III and IPG/CMG standards and guidelines. 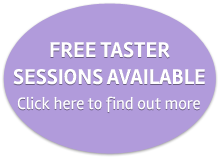 This ensures that you get quality training and value for your money. You come as a student, but leave as a friend.